Fantastic condo - MOVE IN READY! 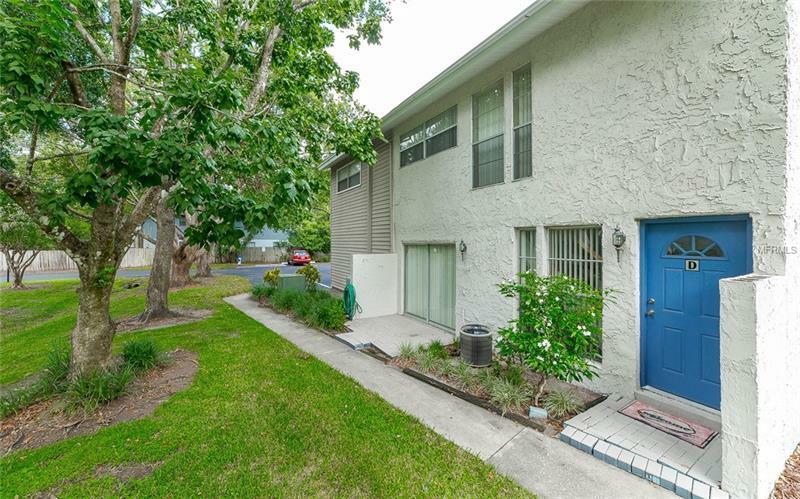 The square footage of this 3 bedroom 1.5 bath townhouse includes a family room which is actually the garage converted to living space. The air-conditioner size was increased to accommodate this additional square footage. Kitchen and bathrooms have been remodeled and the roof is brand new. All bedrooms are on the second level. No upstairs neighbors! The condo faces South onto a nice wide open grassy area with nice shade trees. Everything is in good condition and all appliances including washer and dryer stay. This complex is VERY convenient to transportation corridors and great shopping and restaurants including the new Hourglass District. There are two pools in the complex and condo dues include exterior maintenance, pool care, tennis court, exterior insurance, lawn care, roofs, paving, professional management, water, and sewer. Check this one out, you will be glad you did.